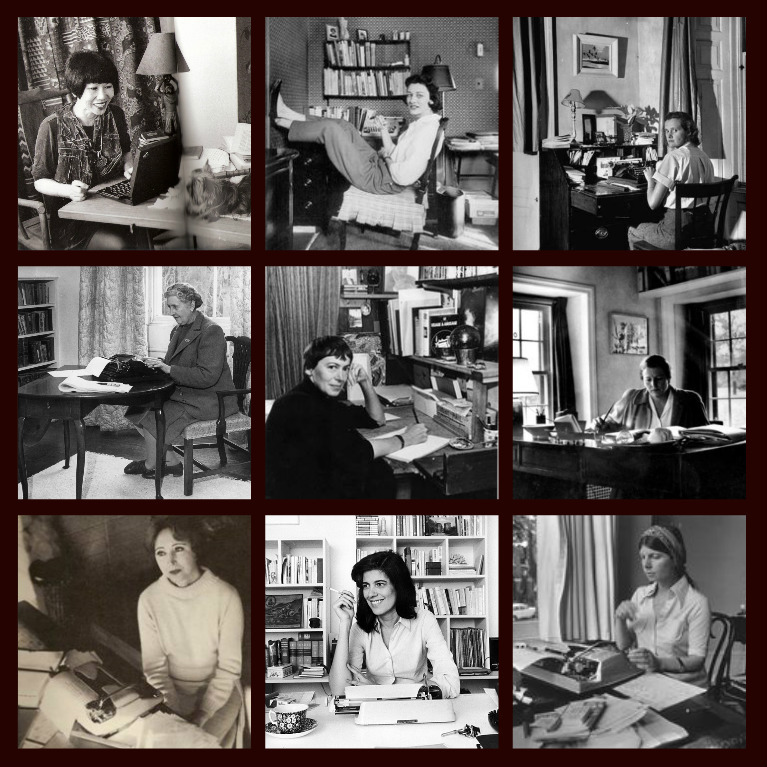 Authors at their desks. From top left: Amy Tan, Anne Sexton, and Daphne du Maurier. Middle row: Agatha Christie, Ursula Le Guin, and Pearl S. Buck. Bottom row: Anaïs Nin, Susan Sontag, and Margaret Drabble. This entry was posted in history, inspiration and tagged Agatha Christie, Amy Tan, Anais Nin, Anne Sexton, authors, Daphne du Maurier, desks, Margaret Drabble, Pearl S. Buck, photos, Susan Sontag, Ursula le Guin. Bookmark the permalink.